Many MMO players own multiple game accounts, and play them at once - this is called multiboxing. EVE playerbase is no different: many people own two accounts, and some players have many more. In this post I am going to focus on ways to play multiple accounts, but also their possible use in EVE. Multiboxing requires more than one account, because CCP limits the amount of active sessions to one at a time. If you try to log on more game clients with the same account, the previous session will simply get disconnected. The first is rarely used, because when interacting with one client it is not possible to see the second one and vice-versa. It can only be useful for station trading or changing skills. Windowed mode is by far the one most commonly used by players, as it doesn't require any additional hardware (ne extra display needed). CCP has introduced a very helpful feature in Crucible which is character name added to the clients window name. Dual head is probably the best solution for dualboxing, because it allows to see two whole clients at the same time. It requires an extra display though, which adds some cost at startup. The added value of playing on one PC is the fact that only one mouse and one keyboard is necessary to interact with the two clients. Multiple PCs is a different (and a bit more expensive) approach to play more than one account at a time. Since my laptop has a dedicated AMD Radeon graphics card, I use a PC and a laptop setup myself. This requires the use of two mice, but otherwise is not much different from a dual head setup and allows to see both characters at the same time. Why would anyone need more than one account? The answer is simple. EVE Online is a massive multiplayer online game, and game mechanics enourage cooperation. Some things are much easier to do, when two characters do it instead of one. Some operations require at least two or even three characters to interact (such as cyno jumping or creating and using a jump portal). Missioning - dedicated tank and dedicated DPS, two DPS ships or missioning ship + salvage ship. I usually fly a Kronos + Vulture (switched the Kronos to a Talos recently). This way missions can be done much faster. It is up to you to share LP and standings to both characters or not. Webbing freighter - because webbed ships warp faster - requires a freighter and a tackling frig/interceptor. After each jump, freighter aligns for the next gate and in the meantime tackler approaches it. When Frieghter is more less aligned, tackler webs it. This lowers both the maximum speed of the ship, but as well the warp threshold speed. If done correctly, it should catapult the freighter into warp immediately. Datacore production - each character can have up to 6 concurrent R&D agents (18 per account). This is a nice passive income. PI production - each character can have up to 6 planets. This is just enough to make one Advanced Commodity. To make starbase structures, you need all types. One account can do it, but it requires careful planning and moving lots of materials between characters. To make effective starbase production based on PI materials, at least two accounts are necessary. Research - each character can run a maximum of 11 jobs - since one account can hold up to 3 characters that makes a total of 33 industry jobs, with two - up to 66. Flying multiple ships in a fleet - it works best in large fleets of battleships and battlecruisers. Difficulty increases with ship speeds, as flying faster ships require more focus on piloting itself. I would never dualbox with two frigates - it requires too much attention to effecitvely multibox (I am not saying it's impossible - it's just a lot more difficult). Even three battleships is a completely different story and much easier to manage. Cynoing jump-capable ships - just like moving a jump freighter (or any jump capable ship). Opening jump portal - like cyno jumping, but Titan/Black Ops pilot opens a bridge instead. ...because of Falcon! - flying solo PVP with an alt in Falcon cloaked nearby to help escape the tight situations. While not necessarily a fair behaviour, it is an effective tactic for beginner and seasoned PVPers alike. 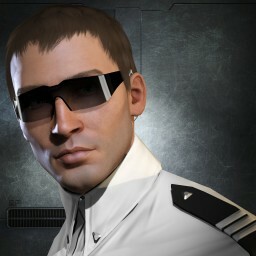 Of course players sitting on lots of ISK can easily use PLEX instead (and can buy a character for the new account as well!). EVE Online is a multiplayer game. It is always better to have a bunch of friends to play with. If your mates are away though, having two or more accounts allow you to do everything. Even cynoing capitals. Do you multibox as well? What do you use your sidekicks for? Comments are welcome. back in the time when I only had one monitor i used to play two clients in the “full screen window mode” with no boarders. advantage was that alt-tabbing is not as harsh as in full screen mode. It worked pretty well even for Missioning. Sending a Drake in to tank the stage and bring in DPS later is really no challenge for that kind of play style. You simply need a good tank and it works with all kinds of setups. If you use multiple Computers just take a look at the program “Synergy” (http://en.wikipedia.org/wiki/Synergy_%28software%29) the project page is not available at the moment but this little program allows you to use mouse and keyboard for multiple computers over LAN. pretty handy if you are using a laptop. Oh and it is very nice if you play with 2 other guys and there are about 9 to 12 ships going in sync warp.